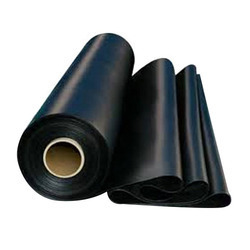 We are a leading Manufacturer of hdpe geomembrane sheet from Ahmedabad, India. With the continuous support and sincere efforts put by our experienced professionals, we have been able to provide our clients an effective range of HDPE Geomembrane Sheet. This sheet is available in different specifications as per the varied demands of our clients. Owing to its high strength and tear resistance, the offered sheet is well acknowledged among our clients. The provided sheet is manufactured using the best quality HDPE material and advanced technology.